Anger Management Classes and Anger Management Educational Programs for individuals who may be court mandated. Anger Management Specialist-1 certification to teach anger management for groups and individuals based on a psycho-educational model from NAMA: National Association of Anger Management. 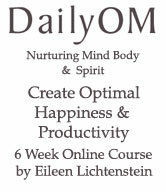 Eileen Lichtenstein has special expertise in the relationship of stress reduction and stress management with managing anger. Her work includes proven mind-body /anger release techniques and anger control methods. She can help you to understand the definition of anger as a protective emotion and consider ways in which anger can be useful and positive. Almost all service members will have reactions after returning from deployment. These behaviors and feelings are normal, especially during the first weeks at home. Balance & Power, Inc. provides Veterans an opportunity to reconnect and reintegrate all parts of their "self." Eileen Lichtenstein has special expertise in the relationship of stress reduction and stress management with managing anger. Her work includes proven mind-body /anger release techniques and anger control methods. She can help you to understand the definition of anger as a protective emotion and consider ways in which anger can be useful and positive. 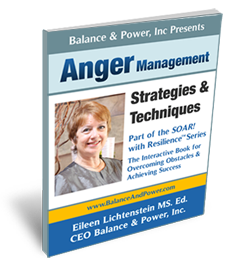 Eileen Lichtenstein, CEO of Balance and Power®, has successfully run stress reduction and anger management seminars within medical, educational and corporate communities. She is a former biofeedback practioner and a professor at Hofstra University, in the Health and Physical Education Department. She has helped thousands of individuals reduce anger-stress levels and to become healthier, both emotionally and physically. She specializes in the Westbury NY, Wantagh, Nassau County, Long Island, and New York Metro area. To sign up for Balance & Power Anger Management seminars click here contact us to arrange for your Free Complimentary Consultation and find out about our current packages. We pride ourselves on customizing our seminars, individual and group training or coaching to meet your needs. Balance and Power offers anger management seminars on your site at your location, in our Uniondale LI, New York location as well as various locations in the NY metro area. What can Anger Management Seminars do for me? Everyone can benefit from my anger management seminars. We live in a very complex, stressful world. Managing anger and violence in our homes, communities, schools and workplace has taken on new definitions and implications. Assertive vs. aggressive communication and good listening skills are necessary components of my anger management seminars. Communication: being able to "walk away" and "let go" of unpleasant situations instead of expressing anger in unacceptable ways. 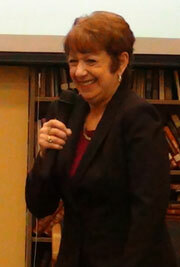 In addition to addressing communication styles, Eileen teaches participants useful stress management techniques to "let go" of frustrations and release tension. Numerous health issues are associated with anger. In addition to the obvious high blood pressure and tension headaches, almost any "condition" is exacerbated by stress and anger levels. Skillful anger and stress management techniques are taught and practiced in our seminars with coaching and training for appropriate communication skills necessary for managing anger. Our anger - communication - stress management coaching is also available via telephone and Video/Skype. *The court mandated sessions must be face to face. Anger Management and SOAR! with Resilience® Coaching and Workshops available in Uniondale NY, Nassau County, Long Island, New York Metro Area, on your site, via Skype, telephone, webinar. Parents, divorce mediators and attorneys, teachers and educators are increasingly aware of the need for anger management seminar training. Managing anger has become a popular parenting issue, ranging from dealing with children's anger to appropriate communication with an angry spouse in regards to parenting or relationships. Eileen can help you to make the anger-love connection, to identify and deal effectively with your hot buttons, and to acknowledge grieving. With Eileen's help, you will be able to keep your anger level to at 1-3 on a scale of 10. Eileen offers an anger assessment as well as a communication styles inventory. Anger management is an essential factor when overcoming an addiction. The probability of a relapse significantly increases when emotions of anger and resentment are not dealt with properly. 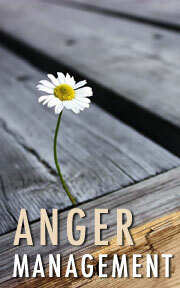 Anger strikes everyone, but these emotions are intensified in someone trying to recover from an addiction. Their need for the addictive substance increases with their heightened emotions. Eileen discusses how anger management is an essential piece for addiction recovery. Eileen Lichtenstein's Anger Management certification and experience working with "troubled" youth in NYC and Long Island Schools makes her the "go to" person regarding youth experiencing high levels of anger and stress. Eileen has trained thousands of teachers, support staff and administrators in public schools and "Head Start" dealing with anger/stress management and effective communication skills. (NYC and Long Island). 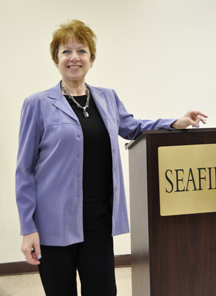 Eileen has successfully facilitated Stress and Anger Mangement Youth Programs (parallel to the NYS anti-bullying campaign) in classrooms as well as coaching students at Career and Health Fair days of public schools across Long Island. 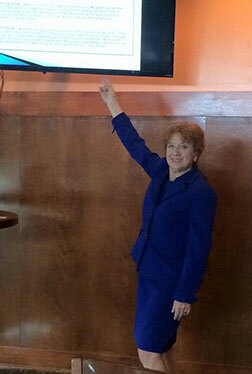 I cannot thank Eileen enough for her insight, encouragement and support. "I knew the road that I had to go down. This class gave me the focus I needed for the journey." "My coaching sessions with Eileen for stress and anger management have inspired me to walk through my life with a higher level of consciousness, to observe all things and situations without jumping in, having a strong reaction and becoming agitated." To reduce your stress/anger levels right now, take a "mini-vacation". Veterans' Reintegration with EFT Long Island New York and surrounding areas.